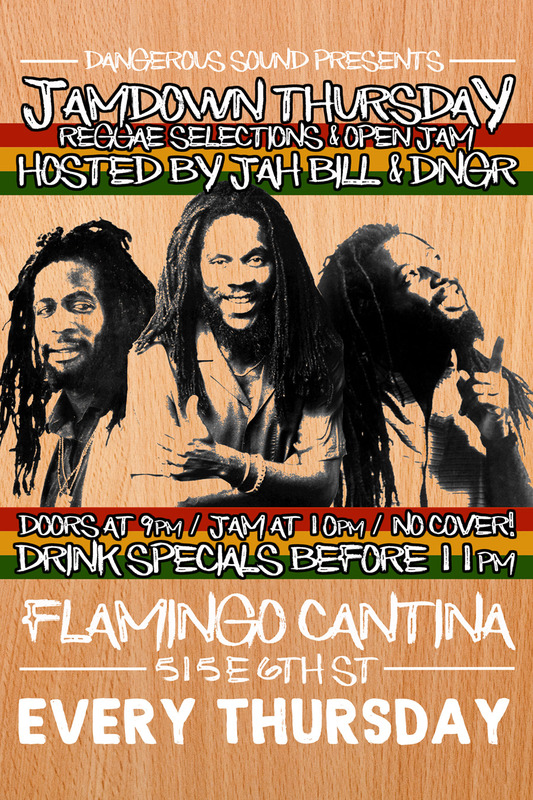 Come out to the Flam Can for a night of Reggae selections and live music. Jah Bill and Dngr will be hosting and selecting tunes throughout the night. Around 10:00pm we will open up the stage to the Reggae Jam performance. All who wish to play should show up early and sign up with the DJs. Have a couple classic songs in mind you would like to play. (Backline provided).